Is your computer and what it does often a kind of riddle to you? 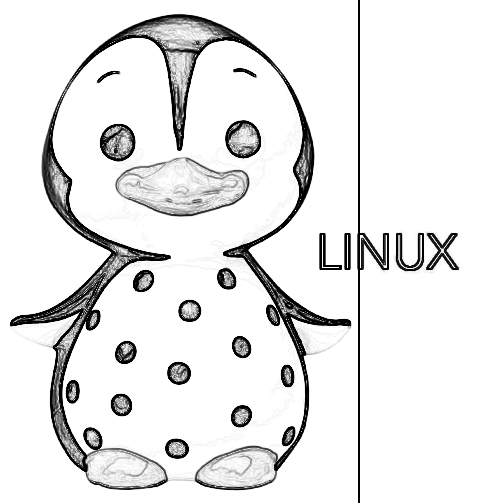 Got enough of "Windows" and already thought it would be interesting to try Linux? And actually you don't always want to ask some male nerd in your surroundings when nothing seems to work anymore? Maybe this workshop would be the thing for you. What happens behind my Graphical User Interface? What/how can I influence/manipulate that? This workshops is for all those of you, who just want to get to know Linux/their computer more. No previous knowledge is required. Also people who already have some experience with Linux might learn some thing new in this workshop. We want everyone to feel comfortable. Therefore, just showing off one's own technical skills isn't something we support. All workshop participants should respectfully learn with and from each other. And when and where is it? The workshop will be hosted by Mz* Baltazar's Laboratory and takes place in their rooms at Wallensteinstrasse 38-40/8 in the 20th disctrict in Vienna. Here you can find it on the Open Street Map. The workshop takes two days. It is important that you can participate on both days. The workshop will be most productive for you if you bring your own notebook (it does not have to have Linux installed and you are also not required to do so throughout the workshop). If you don't have a notebook, we have one or two Linux-Notebooks in spare. The workshop is limited to 12 participants. We therefore urge you to make reliable registrations until 19th Nov. 2016. Also if you realize, that you will not be able to participate, let us know immediately, so we can provide this place to another person who is on the waiting list. As working language in the workshop we will use german. But we can provide translation to and from English if needed. Part 3: How do I set up a (web-)server? Parts 2 will likely take place in January and part 3 in February 2017. The workshops build on top of each other, but they can be also visited independently. Education and transfer of knowledge about technology is often paired with mechanisms of exclusion, which make access to technology especially hard for women*. We work against attributions and assumptions about who is able to understand technical stuff. Therefore we are also against the dominance of cis men in technical context. Our goal for this workshop is, to create a room in which especially those feel empowered to learn and play with technology, who are traditionally excluded from this area of expertise. Therefore our workshop is open for women* an trans people only. We are aware that also women* might act in ways which take away room and agency from other women*. An exclusively female* room therefore also does not solve all the problems we see in this area. Nevertheless it is a well proven method to encourage women* to engage with technology.